Easy to make, taste great, satisfying without feeling sinful? Try this recipe! Sugar reduced 25% from the original recipe, dark chocolate chips (Ghirardelli 60% cacao bittersweet) instead of milk chocolate, morello cherries which were lightly sweetened (higher in beta carotene, antioxidants and more nutritious than sweet ones) were used. The result of the adjustments, there was balance of sweetness and sourness. 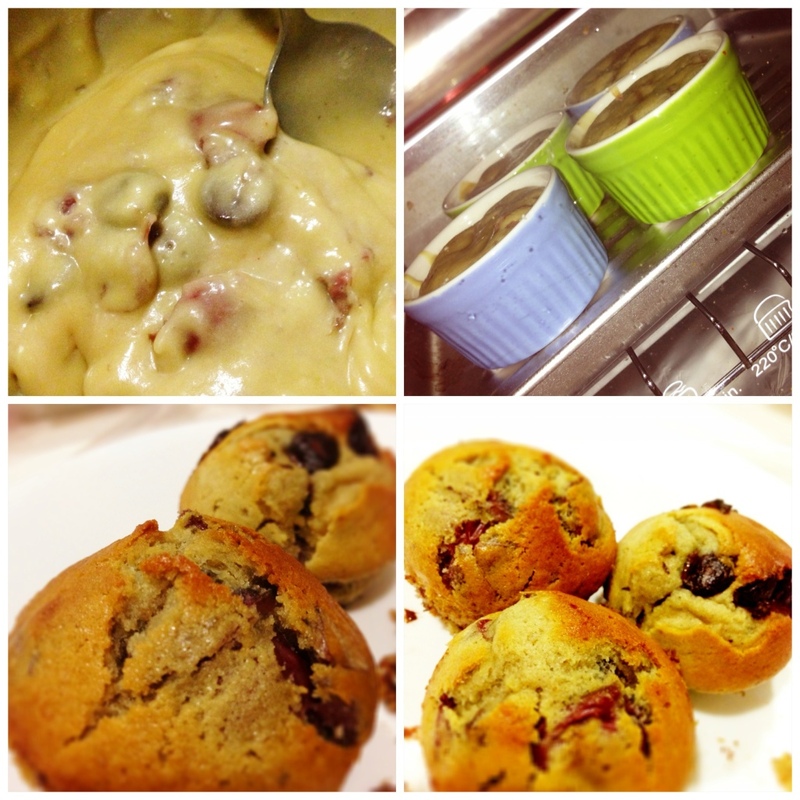 Muffins were moist from the juice of the cherries and some butter. Love it!